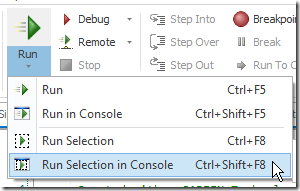 You can now access the run selection commands directly from the ribbon. 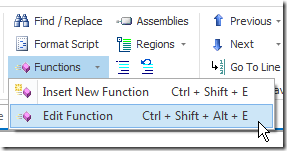 Insert New Function – Opens the Function Builder so that you can create a new function. Edit Function – Allows you to edit functions using the Function Builder. We will discuss this new feature in the next article. The designer commands are now separated into their own groups and we changed a few buttons sizes. Hopefully these UI changes will make some of the commands more discoverable and easier to access.